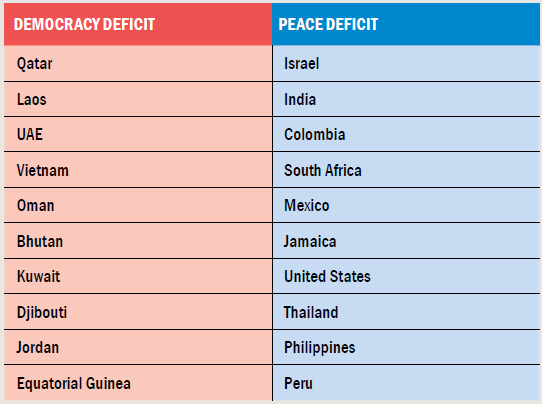 A top international non-profit think-tank, based in Sydney, New York and Oxford, has ranked India a poor No 143rd in global peace index among 162 countries it surveyed on the basis of the data sourced from the International Institute of Strategic Studies, the World Bank, various UN Agencies, peace institutes and the EIU. 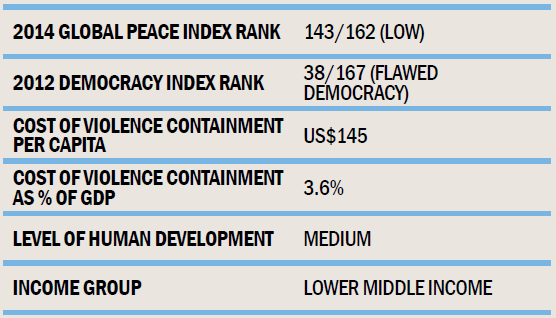 The only consolation for India is, Pakistan ranks 156th, Israel 149th, and Russia 152nd. The best performer is the tiny Nordic country Iceland, ranking No1. 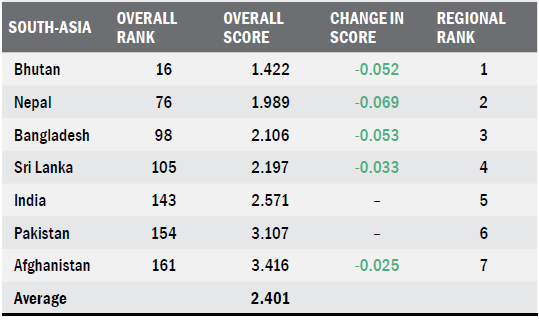 Japan ranks No 8th, the US 101st, and the UK 47th. 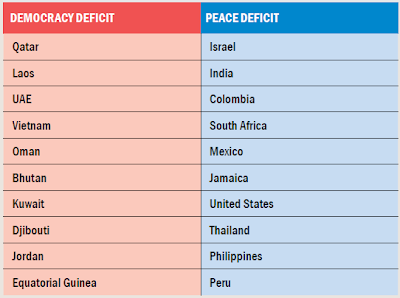 In its Peace Deficit Analysis, the study says, India’s democratic institutions, no doubt, are strongly entrenched and the electoral process is largely peaceful, as seen in the recent elections where in nine phases from April 7 to May 12 2014, with 100m new young voters went to the polls. “India’s internal conflicts originate from the existence of several ethnic groups, terrorist camps and state-level independence movements. 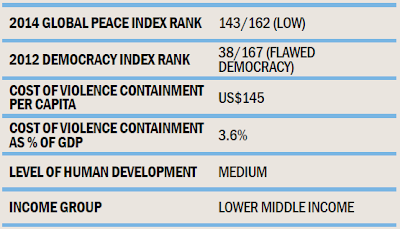 India is ranked number four out of 159 countries in the Global Terrorism Index. The Maoist insurgency movement, known for its left-wing extremism, is among the strongest of these internal threats”, the study says, though refusing to mention communal strife in Gujarat, UP, Assam and other parts of India. “This increase in defence spending is mainly a response to China's increasingly threatening foreign policy. The strained relations with Pakistan similarly add to India's security concerns. The partition of India and Pakistan in 1947 was characterised by violence and turmoil and, since then, border disputes over Kashmir in northern India have ensured frequent conflict, including three major wars between the two countries”, the study underscores.